A nonprofit is a corporation and just like their for-profit cousins, nonprofit corporations exist independently of the people who founded them. It is a legal requirement for a nonprofit to have a board of directors. Boards have the responsibility to make sure that the nonprofit follows nonprofit law and adheres to its mission. The nonprofit board can hire and fire the CEO. Even if your organization has only volunteers and no staff, it must have a board. Who Should Be On My Nonprofit's First Board? Founding board members are very special. They usually know the founder/s of the organization and believe strongly in its cause. The board might be made up of those people who were interested in your mission early on, or it could be a group of individuals who came up with the idea of the organization and worked together to get it started. Either way, the founding board guides the nonprofit as it organizes as a nonprofit corporation and applies to the IRS for tax-exempt status. Being on a founding board is hard work, so members need to be willing to give considerable time and energy to the organization. Those first board members may have to do a lot of the group's work and fundraise extensively. How Many Board Members Does a Startup Nonprofit Need? The state in which you incorporate will set the guidelines for the minimum number of board members. A minimum of three is typical. The minimum number will be on your state's incorporation documents. The size beyond the minimum depends on the organization's needs. Make a list of the tasks that need to be done and match your board members to those. Jobs and board members should be well matched so that everyone has enough to do, but no one is overwhelmed. Should Board Member Terms Be Staggered? Yes, staggering board member terms ensures that there is always fresh talent coming on your board. If you start with, say, three board members, ask them to agree to staggered terms. For instance, one could serve one year, one could serve two years, and the third could serve for three years. You will want to specify in your articles of incorporation and bylaws what the maximum term is for board members going forward. What Skills Should Be Represented on a Startup Nonprofit Board? This depends on your organization's mission. However, it is nice to have a mix of core competencies that could include financial, marketing, technical, entrepreneurial, legal, and social service skills. Don't overlook the value of people who are not professionals, such as a parent of a child your nonprofit serves or a volunteer who is heavily involved in your work. Passion and commitment are just as important, if not more so than specific professional skills. What Should Every Nonprofit Board Member Know About Serving? That serving on a nonprofit board has serious fiduciary, legal, and ethical responsibilities. Board members can be held accountable for dereliction of their duties. Board members are expected to help support the organization financially and to help raise funds. Board members need to understand the difference between the responsibilities of the board and the staff. For instance, the board sets policy, and the staff implements those policies. The board hires the executive director, but the ED employs and supervises the rest of the staff and runs the organization. To make sure that the board runs smoothly, the first board members should set up a nominating committee whose job will be to find new board members to both expand the board and to fill open positions as they come up. Other committees should include a finance committee to ensure that the organization stays solvent and a development committee to work on fundraising. 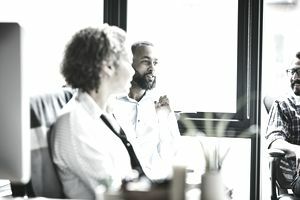 A great founding board will not micromanage the staff, but concern itself with stabilizing the organization financially and using each board member's contacts to broaden the nonprofit's reach and influence.